Join us for a free screening of this short film directed by Beverly Willis and the Beverly Willis Architecture Foundation highlighting contributions by female architects, engineers, and builders in shaping the New York skyline. Panel Discussion to follow film. Refreshments will be served. Carol Kurth FAIA, alumnus and past board president, is our sponsor. 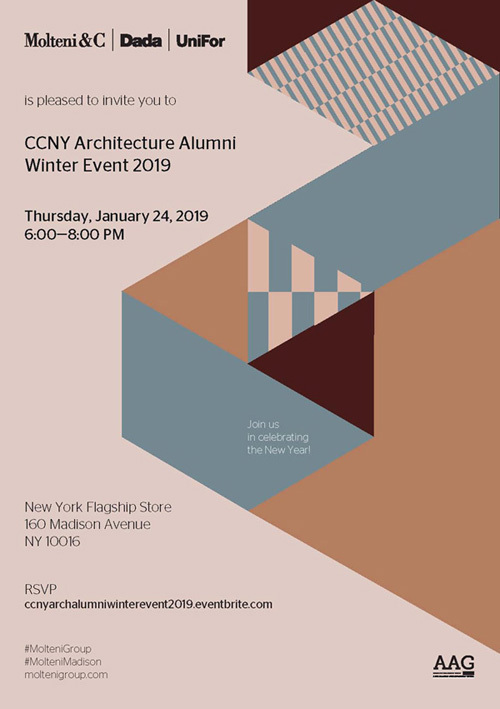 This event is organized by the CCNY Women in Design Committee of the CCNY Architecture Alumni Group in collaboration with the CCNY Chapter of the National Organization of Minority Architecture Students | NOMASCCNY. Brian D. Goldstein is an architectural historian and assistant professor at Swarthmore College, Pennsylvania. Goldstein received his PhD from Harvard University in 2013, and he previously taught at the University of New Mexico and the University of Wisconsin-Madison. His research focuses on the intersection of race, class, social movements, and the built environment in the United States. His publications include The Roots of Urban Renaissance: Gentrification and the Struggle Over Harlem (2017) and numerous articles appearing in the Journal of American History, Journal of Urban History, and edited volumes of Reassessing Rudolph (2017); Affordable Housing in New York (2015); and Summer in the City: John Lindsay, New York, and the American Dream (2014). Goldstein is the recipient of fellowships and awards from the Graham Foundation for the Advanced Studies in Fine Arts, the Society of Architectural Historians, the Society for American City and Regional Planning History, the Center for the Humanities at the University of Wisconsin-Madison, and the Charles Warren Center for Studies in American History. Monica Bertolino is a graduate and postgraduate professor at Córdoba National University, Littoral National University, and Catholic University of Cordoba in Argentina. 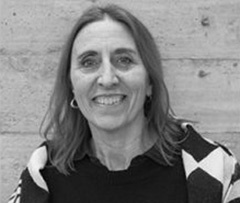 She has also taught at various national and international architecture schools since 1984. Bertolino is a graduate of the School of Architecture and Urbanism at the Córdoba National University, and a postgraduate from Córdoba Catholic University. She has lectured at numerous national and international conferences and is Director of RedSur, a Latin American interchange network. Bertolino and Carlos Barrado founded the Bertolino Barrado Architecture firm, an organization that covers architectural, urban and landscape design at varied scales and subject areas. 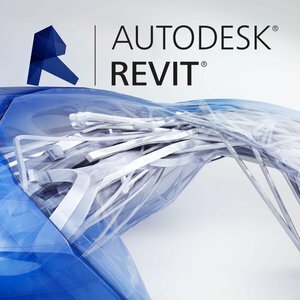 The architecture firm is among the 10th most noteworthy, and a recipient of numerous awards, nominations, and notable mentions: 2012 Knox Merit Diploma; 2011 ARQ Clarín prize; nomination for the 2011 and 2013 Marcus Prize in Milwaukee; 2010 VII Iberoamerican Biennial Award for Architecture and Urbanism; 2002 Quito PanAmerican Biennial, International Honorable Mention; the 2000 Vitruvio Award, among others. This award-winning firm has works and articles published in national and international books, magazines, and televised documentaries. The Spitzer School of Architecture at City College of New York and the Costa Rican Foundation for Design, Art and Architecture (Fund_ARQ) are delighted to announce Mundaneum XIII 2019: Pan Americas, an intensive series of talks and conversations exploring points of both intersection and conflict in design and planning in the erstwhile "New World." Over a day and a half, a group of Pan American architects, designers and activists will present their work not to seek "common ground" but to reveal the complex interactions and inflections of the manifold architectures and environments of the Americas and to spark lively and ongoing conversation, cooperation and debate about their intertwined histories and futures. For a list of speakers CLICK HERE. Jennifer Newsom is a licensed architect, artist, and assistant professor at the University of Minnesota, School of Architecture. She earned a Bachelor of Arts and Master of Architecture from Yale University. While a graduate student, she organized the symposium Black Boxes: Enigmas of Space and Race at Yale School of Architecture; and wrote “Architects, African-American” entry in Africana: Encyclopedia of the African and African-American Experience. She recently presented at the landmark conference Black Architects and Planners 1968-Now held at the Smithsonian’s NMAAHC in Washington, D.C.
Newsom and Tom Carruthers founded Dream The Combine, a Minneapolis-based creative practice of artists and architects that designs large-scale public art installations exploring metaphor, perceptual uncertainties, and the boundary between real and illusory space. The award-winning practice is winner of the 2018 Young Architects Program at MoMA PS1 for their Hide & Seek installation. Dream the Combine has exhibited at the Museum of Modern Art and MoMA PS1 in New York, in addition to Connecticut, Minnesota, Vancouver, and Italy. Their work has published widely, including The New York Times, Metropolis, Architect, Architectural Record, The Architect’s Newspaper, and Dezeen. Byron Merritt is Vice President and Global Creative Director for Nike Digital. In this role he oversees the design, development and creation of Nike’s digital experiences. Central to that is the Nike+ ecosystem of mobile applications. Previously, Byron Merritt was Senior Creative Director and leader of Nike’s North America Brand design. In this role he drove how the Nike brand came to life across all consumer touch points -- retail, digital, events and brand experiences. The team he led focused on driving innovation around how the products Nike makes, the services created around those products, the places where consumers interact with those products and services (both physical and digital), and the communication, messaging and storytelling all come together in a seamless experience for consumers. His work fuses marketing, design and innovation. At Nike, Merritt drove creative around the launch of the Nike+ Fuelband and was a part of the team creating the product experience. Additionally, Byron Merritt has led the development of many Nike firsts. He was creative director for Nike’s first video game Nike+ Kinect Training, designed for the Xbox Kinect platform as well as new to Nike customization experiences. Prior to Nike, Byron worked at what’s been considered to be the world’s most innovative design company, IDEO in San Francisco, CA. Byron Merritt earned a masters in architecture at SCIArc and currently lives in Portland, OR with his wife and son. Walter is the Creative Director and Founder of Hood Design Studio in Oakland, California. Hood Design Studio is his tripartite practice, working across art + fabrication, design + landscape, and research + urbanism. He is also a professor of landscape architecture at the University of California, Berkeley and lectures on professional and theoretical projects nationally and internationally. Walter designs and creates urban spaces and objects that are public sculpture. Believing everyone needs beauty in their life, he makes use of everyday objects to create new apertures through which to see the surrounding emergent beauty, strangeness, and idiosyncrasies of urban space. His ideas emerge from years of studying and practicing architecture, landscape architecture, and fine arts, and yet Walter tactfully eschews from differentiating between the three on any one project. Olalekan Jeyifous earned a Bachelor of Architecture from Cornell University. As visual artist, he has exhibited artwork at the Studio Museum in Harlem, the Museum of Modern Art, the Vitra Design Museum, and the Guggenheim in Bilbao, Spain. Jeyifous is recipient of numerous grants for his artwork from the New York Foundation of the Arts, the New York State Council on the Arts, and the Brooklyn Arts Council. He has recently completed artist residencies with the Headlands Center for the Arts, Bemis Center for Contemporary Arts, the Drawing Center’s Open Sessions program, and a Wilder Green Fellow at the MacDowell Colony. In addition to his extensive exhibition history, Jeyifous has spent over a decade creating large-scale artwork for a variety of public spaces. He created award-winning installations for Starbucks located in the Barclays Arena in Brooklyn and their Flagship store in Chicago’s Gold Coast neighborhood. Most recently, Jeyifous has completed commissions for the Durham SmART Vision Plan, the Opa-Locka Community Development Corporation, a 50ft-tall sculpture for the 2017 Coachella Valley Music and Arts Festival, and four large sculptures for Public Square in downtown Cleveland, OH. Students will be looking for summer internships and full-time positions in architecture, landscape architecture, urban design, sustainability, and related fields. Join us in celebrating the New Year! Special Thanks to our Sponsor MOLTENI&C. All proceeds will be donated to the CCNY Architecture Alumni Scholarship Fund. Spitzer School of Architecture Exhibit open to the public. Free of charge, 9:00 am - 5:00 pm weekdays, closes February 8, 2019. The Unfinished exhibition is a project that was originally curated for the Spanish pavilion at the Venice International Architecture Biennial 2016. The exhibition’s goal is to take a look at unfinished architecture in order to discover virtues that can be turned into design strategies. Join us for a CCNY Architecture, Urban Design & Landscape Architecture Alumni Networking Happy Hour & Meet Up on Tuesday June 19th, as NYC kicks off A'18 with the 2018 AIA Conference on Architecture. Whether you are in town for A'18 the AIA Conference on Architecture, and or are already in NYC, we look forward to seeing you for a Pop-Up Happy Hour to celebrate our Alma Mater & the City. 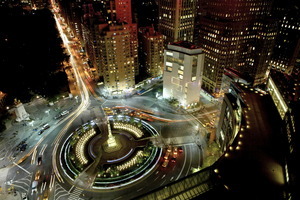 Where: High Bar NYC | 346 West 40th Street ( Rooftop - Atop the DoubleTree Hotel) 21+ | Cash Bar | Happy Hour Specials Available along with amazing 360 Views of the City! Why: To celebrate all things CITY! This event will provide an opportunity for current students to be mentored by fellow graduates of the school. There will also be an opportunity to review Portfolios. The theme of DiverCITY speaks to the diverse network of CCNY architecture, landscape, urban design & sustainability alumni who have graduated and established their careers throughout the building industry as architects, builders, sustainability leaders, planners and more. This event aims to strengthen the connections between the students & the alumni of the school with the goal of fostering life-long mentoring relationships that will last long beyond graduation. This is a great opportunity for you to connect with our current students & recent graduates. Please confirm that you will be able to attend as a "Mentor" or a "Mentee". We encourage you to share your own experiences with current CCNY students and have a positive impact on their professional development. Your participation is greatly appreciated. Join us for Happy Hour at McGettigan’s and enjoy a wide range of beers, wines and well drinks starting from just $5! Happy Hour runs until 9pm making this event the perfect opportunity to meet and reconnect with past classmates, students, faculty and friends of the School. We are looking forward to catching up with our fellow Alumni. 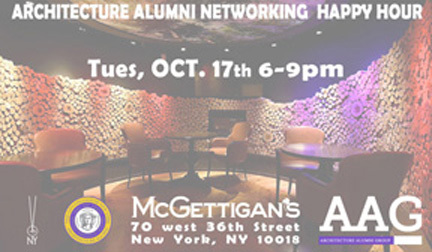 Brought to you by the Architecture Alumni Group of the Alumni Association of CCNY & Venues of New York. Catch up with fellow alums at our group's annual winter event. More info coming soon! This documentary is written and directed by Beverly Willis, FAIA, and produced by the Beverly Willis Architecture Foundation. Viewers learn that Frank Lloyd Wright was not only a visionary and icon, but he also provided unique opportunities for women to learn the craft of architecture at Taliesin. The 20-minute film unearths the experience of more than 100 female fellows at Taliesin with a focus on six individuals who have carved a place for themselves in the legacy of women in architecture. The screening will be followed by a Panel Discussion with Beverly Willis & fellow CCNY Alumna, moderated by CCNY Professor Marta Gutman.